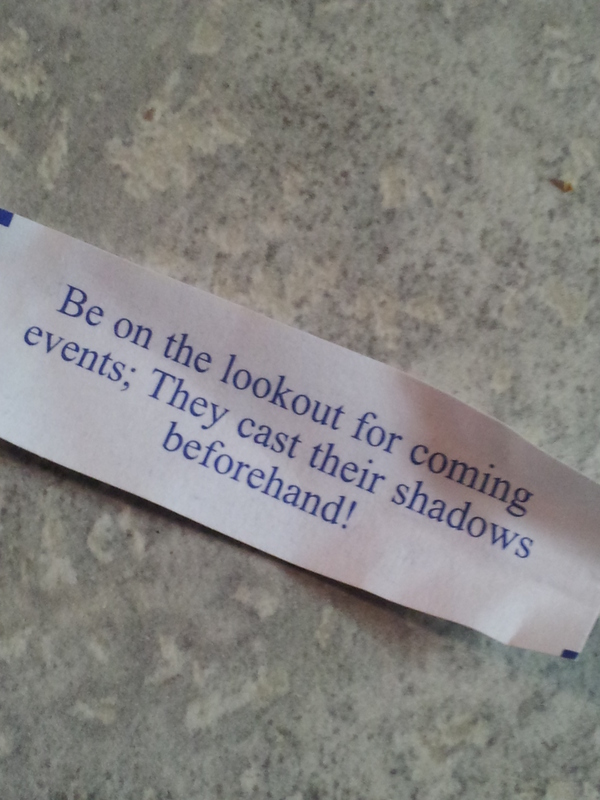 Talk about a foreboding fortune. Shouldn’t fortune cookies be all happy, like “Money is sure to come your way,” or “Eat drink and be merry.” They shouldn’t be all dark and spooky. Although, I have to admit I’m not shocked. I’ve gotten cookies with no fortunes or cookies with blank fortunes before. I guess at least this time I actually got a cookie with a fortune. And maybe the coming events will be great. Maybe I’ll find something good or something good will happen, followed by more good things. That could totally happen, right?